Like new one level living w/3BR/2BA down & 1BR/1BA+storage up. Over $50K in upgrades! Only one step entry to home! 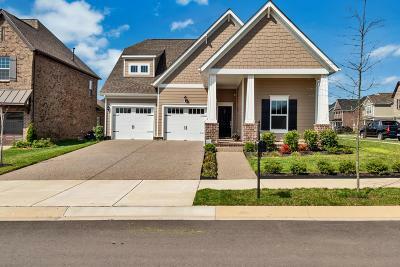 Beautiful new neighborhood situated on the Harpeth river w/easy access to interstate, shopping businesses & zoned for outstanding schools! Over 8 years of builders 10yr warranty remaining. Corner lot, luxury kitchen, soft close cabinets, covered patio, central vacuum, water softener, security system, surveillance cameras, surround sound, mud room and more! No need to wait for new!